Budwig Diet Flax Farm | Linseed Oil for your well-being. The full Budwig protocol lays out a plan for balanced macrobiotic and microbiotic nutrition plus the lifestyle, spiritual and emotional side of health. In America is is often called the “FOCC” diet as in Flax Oil (linseed oil) combined with Cottage Cheese which is the basic mixture that is incorporated into Budwig muesli and makes the cornerstone of the whole Budwig protocol. 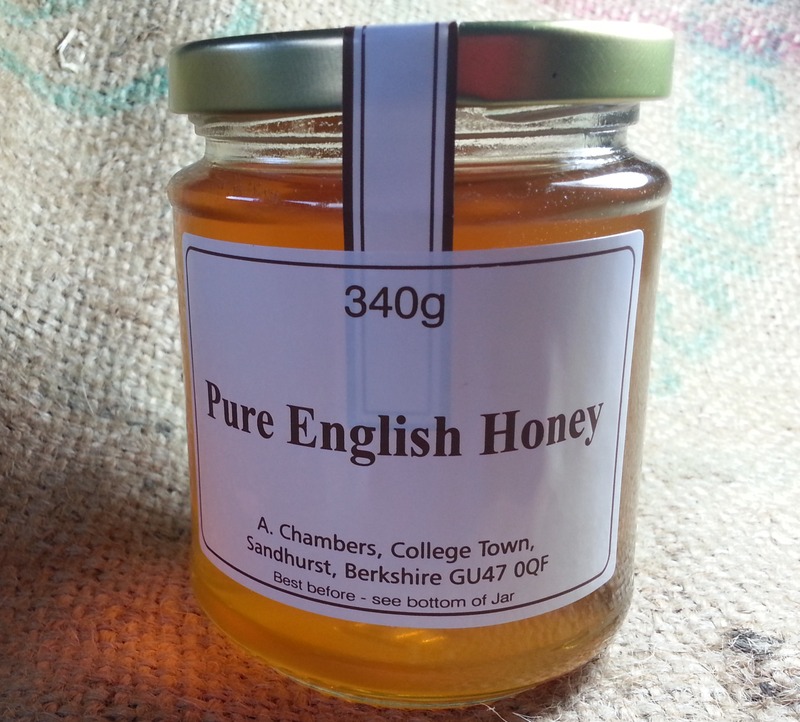 It is simply cold-pressed linseed oil and cottage cheese blended thoroughly and mixed with ground linseed, fruit, honey, berries and nuts with spices and other natural foods to flavour it to taste. 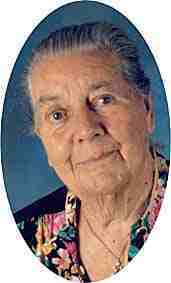 Johanna Budwig held a doctorate in physics, a PhD in Natural Science, and was a qualified pharmacologist and chemist. She also held the position of chief consultant for drugs and fats at the Federal Institute for Fats research which enabled her to make important discoveries about ‘good fats’ and ‘bad fats’, paving the way for the development of the Budwig diet. 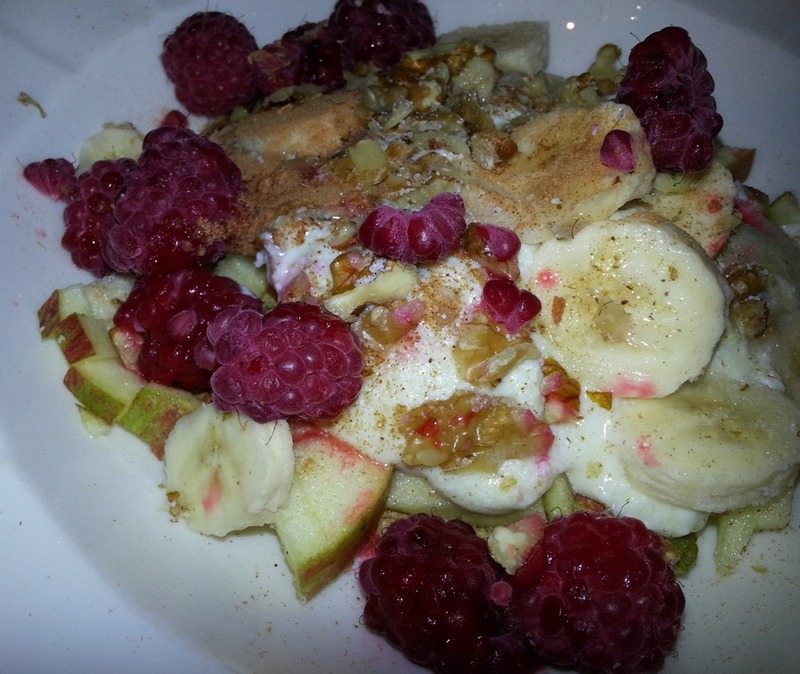 A typical Budwig muesli breakfast with Flax Farm linseed/flax oil, apple, banana, chopped nuts and raspberries. This also makes a great dessert. The Budwig muesli is delicious as well as healthy. It is a bit like Eton mess pudding, less sweet and with much more flavour. It can be used as a dessert too, your friends and family will love it and it will be doing them good. You can vary the ingredients to suit the season and what you fancy; you can add no-sugar cocoa powder, spices, kirsch, rum or other spirits and fresh juices for added flavour. The basic Budwig linseed oil-cottage cheese mix can also be used savoury as a dip or healthy mayonnaise. Combine oil and cottage cheese with a hand blender until thoroughly emulsified, adding a little skimmed milk if necessary, stir in honey. Place fruit into a cereal bowl, add freshly ground linseed and the linseed oil-cottage cheese mix, top with berries and chopped nuts. 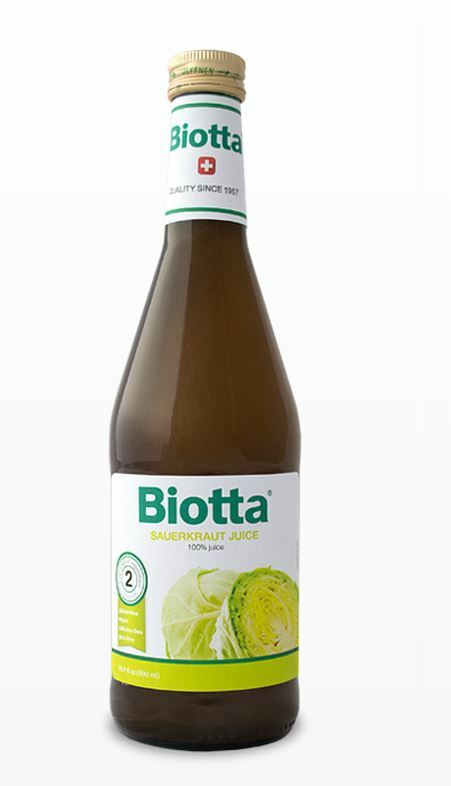 For variations and more recipes suitable for the Budwig Diet have a look at our recipes. Johanna Budwig wrote books about her discoveries the effect linseed oil, and diet can have improving health. Her books including ‘The Oil Protein Diet Cookbook’ and ‘Cancer – the Problem and the Solution’ which have been translated into Englishand are available on Amazon. The Budwig diet “muesli” is made with cold-pressed flax oil creamed with quark cottage cheese plus fruit, berries and chopped nuts. It is as delicious as it looks. The core of the Budwig diet is a combination of linseed (flaxseed) oil and cottage cheese. 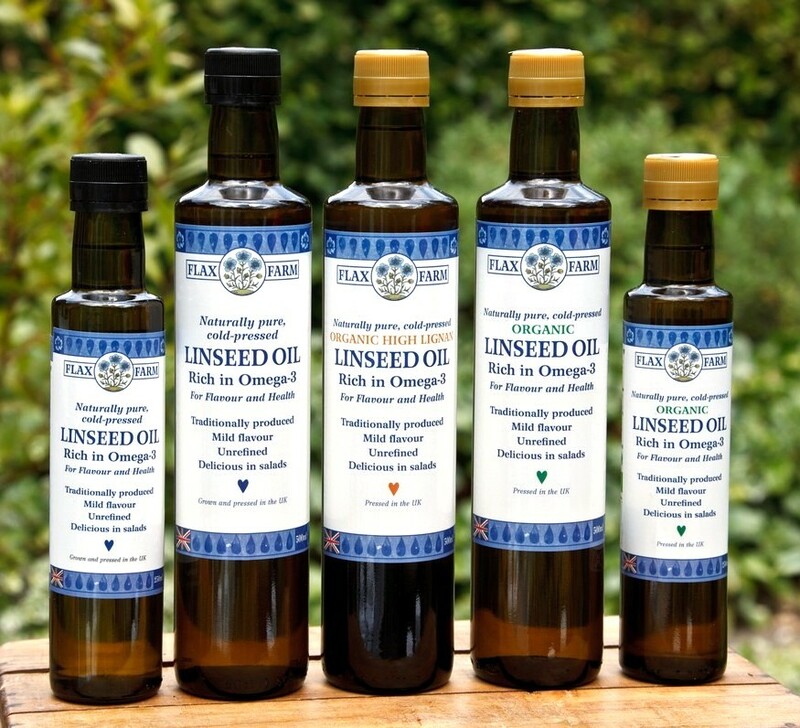 We all know that linseed oil is a rich source of omega 3 fatty acids. In the 1930’s scientist Otto Heinrich Warburg discovered that in the absence of oxygen cells can use sugars in a harmful way for respiration. Dr Johanna Budwig discovered that linseed oil, made soluble by blending with the sulphur proteins of cottage cheese carries oxygen in the bloodstream to counteract this effect. Cold-pressed linseed (same as flax seed oil) is one of key ingredients in the Budwig diet. It is also a restorative diet for those convalescing from illness, surgery and other medical intervention. The Budwig diet is full of healing foods. Alkalising from a largely plant based diet. This is combined with Dr Budwig’s recommendations for other areas of caring for the patient which includes addressing the emotional and spiritual areas of life, enemas, rest, sleep. exercise, fresh air and plenty sunshine.